Telugu film NTR Kathanayukudu will release on January 9 and Rajinikanth starrer Petta is slated for release on January 11. 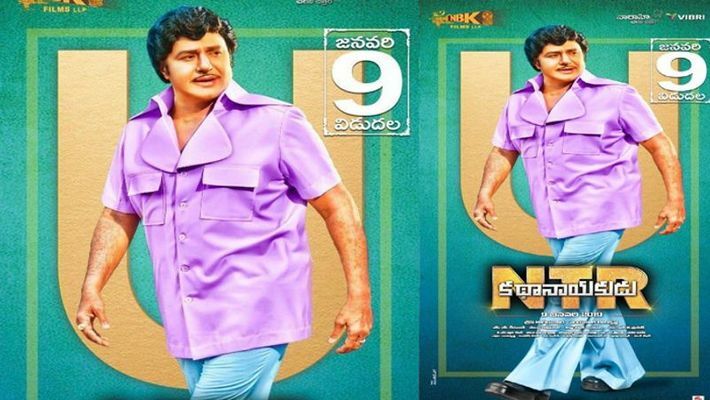 Bengaluru: The teams of the Rajinikanth starrer, Petta and Nandamuri Balakrishna starrer NTR Kathanayukudu will set foot in Bengaluru to promote their respective movies in Silicon City. The Petta and NTR Kathanayukudu teams will hold two separate press meets at different locations in Bengaluru. Both the movies, Tamil film Petta and Telugu movie- biopic of NTR, are all set for a Sankranthi (festival) release. From the Petta team, director Karthik Subbaraj and sensational singer-music director Anirudh will take part in tomorrow's programme. From the NTR team, the lead pair Nandamuri Balakrishna and Vidya Balan will be present in Bengaluru to address the media and converse with the audience. Kannada stars Puneeth Rajkumar and KGF famed Yash will also be present to promote this movie. NTR Kathanayukudu will release on January 9 and Petta is slated for release on January 11. Rajinikanth films are a hit in Karnataka due to the presence of a large population of Tamil audience, the fact that Rajinikanth worked as a bus conductor in Bengaluru before becoming an actor. and because Rajinikanth has acted in a number of Kannada movies. Petta is said to be reminiscent of Rajinikanth's most appreciated roles in Basha and films of the 1990s. Petta also stars Vijay Sethupathi, Simran and Trisha. Trailers of both Petta and NTR have received good reviews online.